Medik8 is a renowned skincare brand that is dedicated to creating products that are both safe for the skin and perfect for every skin type. Medik8 skincare products, such as the Medik8 Cleansers, offer a wide variety of solutions to many different skin problems such as hyperpigmentation, dryness, acne, aging and redness. Each product is developed and formulated in order to produce effective products that do not contain any harsh soaps or detergents, as well as any harmful chemicals used in other skincare lines. Some of the most potent and powerfully formulated Medik8 products include their large collection of Medik8 Cleansers. Within the collection of Medik8 Cleansers you will find various cleansers that provide unique benefits for each skin type or issue such as oily and dry skin, or aging and acne-prone skin. For example, the Medik8 poreCleanse gel not only holds amazing oil controlling properties, but also provides anti-aging qualities as well. Just with this one product, you can cleanse the skin by removing dirt and bacteria, balance your PH level, reduce fine lines or wrinkles, and do all this with an irritant-free, paraben-free, and fragrance free product that is completely safe for your skin. All of the other Medik8 Cleansers follow in suit by providing numerous benefits you can gain with each cleanser. If you are interested in Medik8 Cleansers, or would like to learn more about the brand and what else Medik8 offers, you can take a look over at SkincareByAlana. 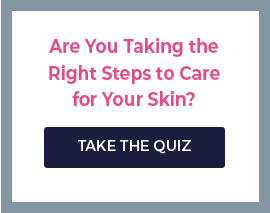 This site holds many different skincare lines that are both safe for the skin and effective. Each brand made available on the site is chosen with great care and concern for the customers’ overall well-being and satisfaction. There are often great deals and savings going on at SkincareByAlana and all orders made from within the U.S. are shipped completely free of charge.